The tenants of this modest Creole cottage trace the arc of second line culture here in the Treme neighborhood. The structure itself dates to the early 19th century (the brick façade covers the original wooden structure). 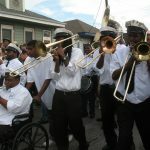 In the mid-20th century it housed a shoe shine operation run by Dominique “T-Boy” Remy, a leader of the venerable Eureka Brass Band. 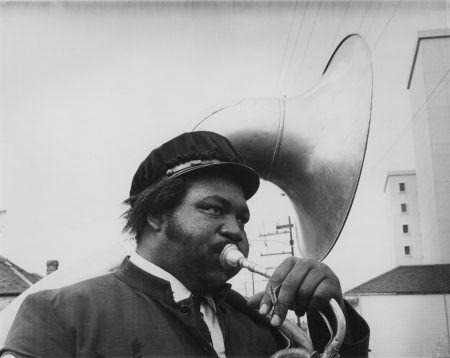 At the end of the 20th century this was home to the musician and bandleader Anthony “Tuba Fats” Lacen. 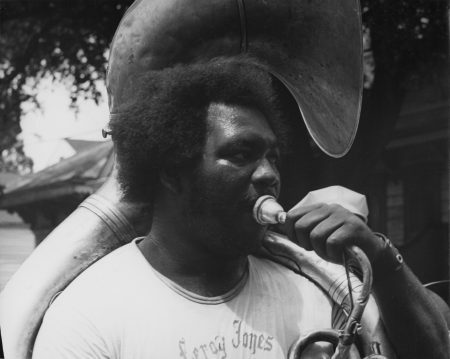 He influenced a generation of traditional jazz and brass band musicians by recruiting young players for his band that played regularly in Jackson Square. 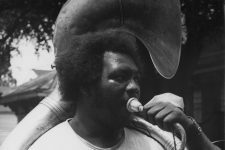 He toured and recorded with the Olympia Brass Band, the Dirty Dozen Brass Band, and his own Chosen Few Brass Band before his death in 2004 at age 53. 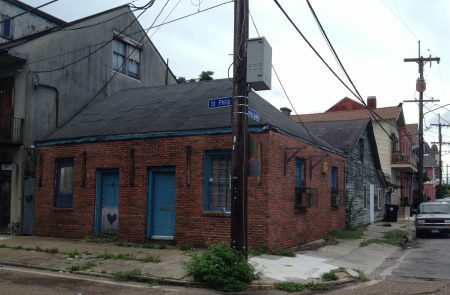 In the years before Hurricane Katrina, this building housed the administrative offices of community radio station WWOZ. Floor tiles laid during this era spell out “Burn, Baby, Burn! — K-Doe,” an endearing, if slightly inaccurate, tribute to R&B singer and WWOZ disc jockey Ernie K-Doe (who used to cheer himself on with the phrase “Burn, K-Doe, burn!”). 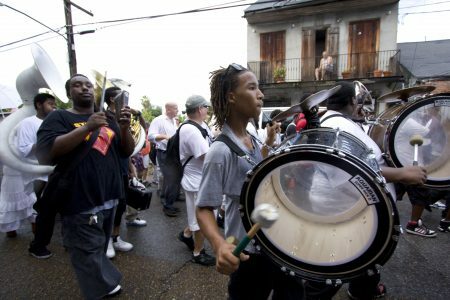 After Katrina, nonprofit organizations Renew Our Music and Sweet Home New Orleans moved in, offering social services and economic-development programming to hundreds of musicians, Mardi Gras Indians, and social aid and pleasure club members recovering from the flood. A few years later the building housed the Brass Camera, a photography gallery featuring images of the city’s parading traditions. 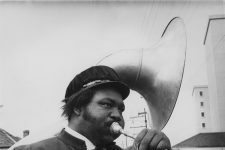 1201 St Philip in 2016. From 2017, Anthony "Tuba Fats" Lacen's house, subsequently WWOZ office, Sweet Home New Orleans office, and Brass Camera gallery. 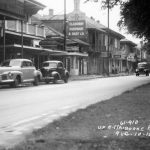 Cupola of St. Augustine Church in far right background.